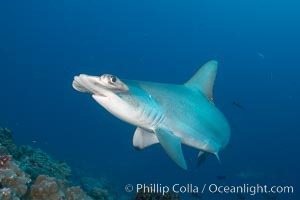 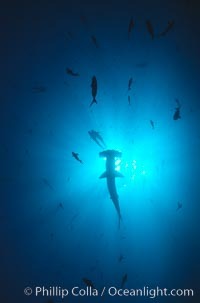 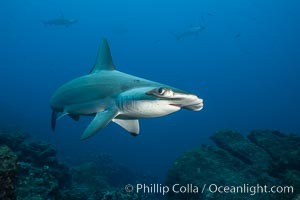 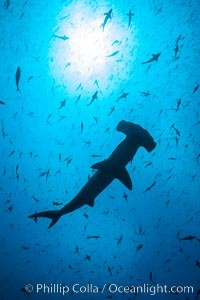 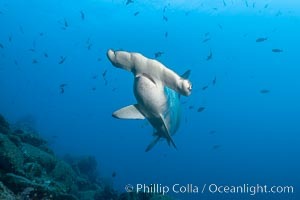 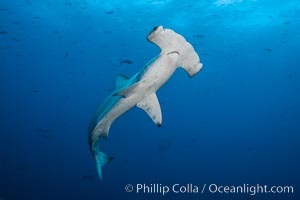 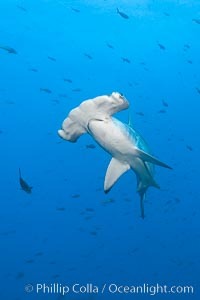 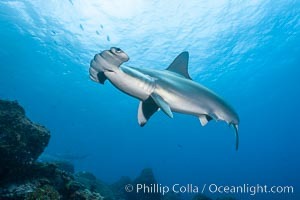 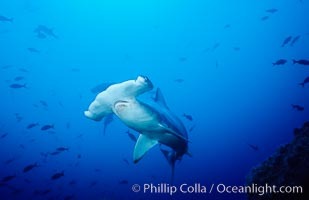 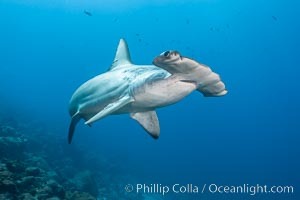 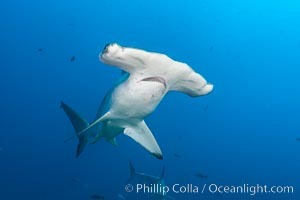 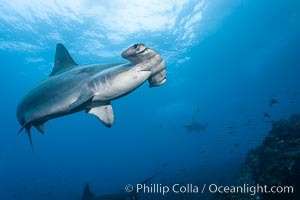 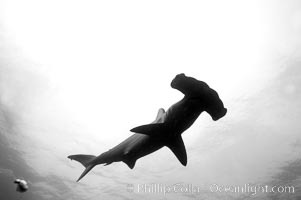 Scalloped hammerhead shark swims underwater at Cocos Island. 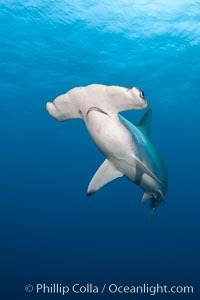 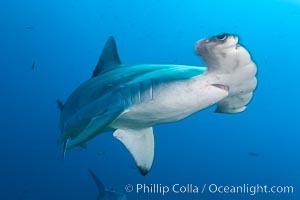 The hammerheads eyes and other sensor organs are placed far apart on its wide head to give the shark greater ability to sense the location of prey. 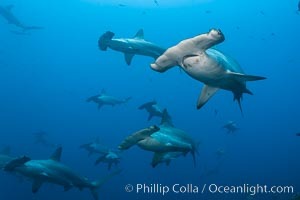 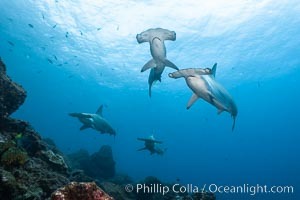 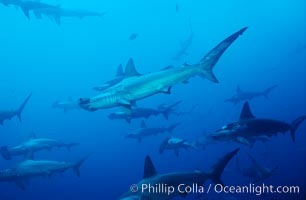 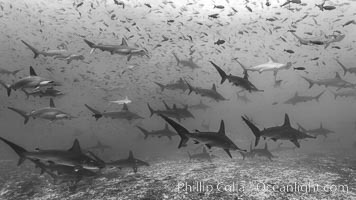 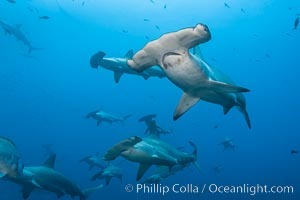 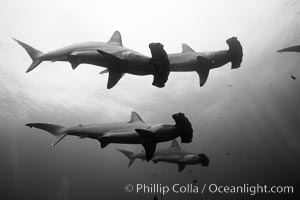 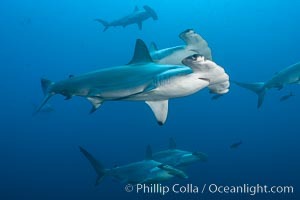 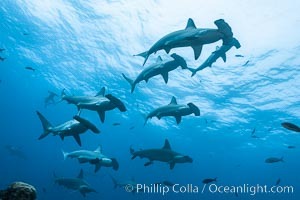 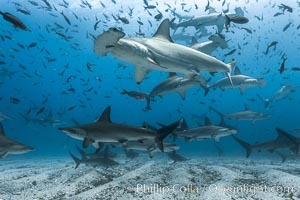 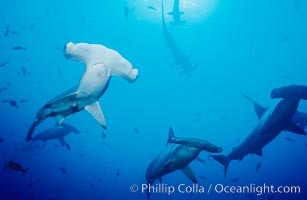 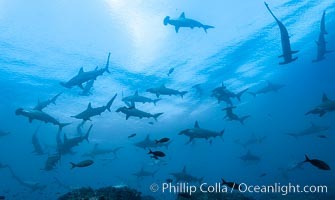 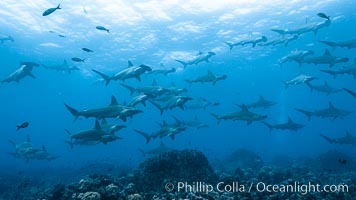 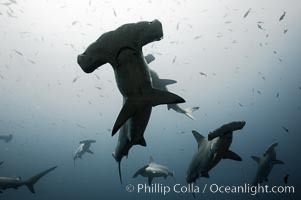 Scalloped hammerhead sharks, schooling over reef. 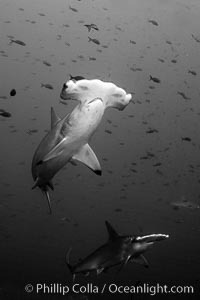 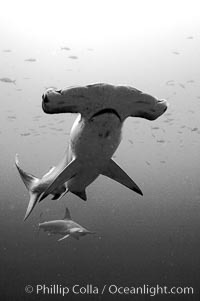 Scalloped hammerhead shark, black and white / grainy.